Covering long distances on foot is just one of many challenging aspects of ultra racing. Rarely are these ultra-distance events held in moderate climates and on easy terrain. If you're looking for a unique challenge, why not sign up for one of the most difficult ultra races in the world? 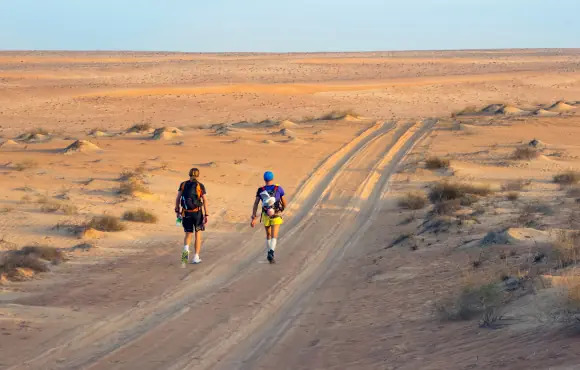 Not for the faint of heart, the Marathon des Sables is held in the Moroccan Sahara and takes runners on a six-day, 155-mile expedition stage race. Known as "the toughest footrace on earth," competitors carry all their own supplies, minus their daily water ration. Like the Tour de France, each day brings a separate stage and individual winners. At the end of each stage is a campground with shade tents and emergency medical care for anyone who needs it. Adding to the challenge of running in sand, runners endure temperatures that reach up to 120 degrees, as well as wind-whipping sandstorms and high humidity. Bringing in more than 1,000 competitors each year, this grueling race has become so popular runners often have to sign up almost two years in advance. If you're in search of an unforgettable challenge, a 143-mile, 5-stage trek through Peru's Manu National Park may fit the bill. From the Andes to the Amazon, the Jungle Ultra features an impressive array of biodiversity. Home to 250 varieties of trees and over 15,000 species of plants, as well as a wide variety of vertebrates big and small, this race offers a truly wild experience. 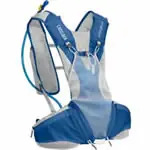 A self-supported endeavor, runners carry their own hammock, sleeping bag, food, and supplies from stage to stage through high temperatures and humidity nearing 100 percent. Perhaps the best way to see this remote part of the world, runners who don't mind tough jungle terrain and the company of snakes, bugs, and jaguars will love this race. Since 1987, this 135-mile race was held in Death Valley, covering grounds from the Badwater Basin to Mount Whitney. One of the oldest ultra races in the world, the July race was not only held in the hottest region in the U.S., it also included 13,000 feet of elevation gain through two mountain ranges. This year, the race was rerouted as a result of the safety concerns of the National Park Service and will likely stick to the new course going forward. Still an epic challenge, the new route goes around Death Valley, makes a 5,500-foot climb up to the ghost town of Cerro Gordo in the Inyo Mountains, and still finishes at Mount Whitney. When all is said and done, the course runs over three mountain passes and offers a total of 17,000 feet of climbing and 12,700 feet of descent. Following in the footsteps of Pheidippides, the Spartathlon course runs 153 miles from Athens to Sparta in Greece. Pheidippides gained his ancient iconic status when he ran the distance prior to the battle of Marathon in 490 BC. What makes this race most unique is that it requires runners to cover the course in just 36 hours. That means running almost six marathons back-to-back along rough trails, olive groves, steep hillsides, and up and down Mount Parthenio, which is thick with rocks and vegetation, in just a day and a half. Making matters more difficult, runners tackle the mountain terrain in the middle of the night, which is usually marked by windy conditions and lows around 38 degrees Fahrenheit. As the story goes, Pheidippides met his maker at the end of his run. While running in hot dessert extremes can be grueling, racing in sub-zero temperatures may be worse. This is what makes the Iditarod Invitational only for the heartiest Northlanders. Held in March, it follows the 1,000-mile path of the famous sled dog race across the harsh Alaskan tundra. Before you're even allowed to enter the race, you must first complete the 350-mile version the year prior to prove you're equipped to tackle the terrain and temperatures. With long stretches of uninhabited snow and ice laden trail, it can take even the most experienced racers days to reach resupply points, so all participants are charged with carrying a significant amount of gear. Underscoring the level of difficulty of this race, the 2014 edition had a record number of finishers—16. One of the most competitive ultra races on the elite scene, UTMB snakes its way through the Alps of France, Italy, and Switzerland. A major event on the world ultra circuit, the race covers 103 miles with the fastest runners doing a little over 20 straight hours of running. Over rocky and technical terrain and through rainy and snowy conditions, steep mountain climbs and tricky downhill running are the most challenging aspects of this race. With over 30,000 feet of positive altitude change on this up-and-down course, participants get a tour of Europe like none other. While the race is known for its difficulty, runners are treated to expansive mountain views, serene valleys, and shady forest paths that make the journey worth the effort. A staple race on ultra calendars for over 40 years, Western States brings in some of the best of the best from the world of ultra running. Starting in Squaw Valley, California, this 100-mile event showcases the natural beauty of the Sierra Nevada Mountains. Featuring 18,090 feet of climbing and 22,970 of descent, these mountain trails take runners through old-growth forest, rugged canyons, over a river crossing, and finally to the finish line in Auburn's Placer High School stadium. In addition to the significant physical challenge and breathtaking views offered by this course, participants are also attracted to the event by the chance to earn one of their coveted belt buckles. Those who cross the line in under 30 hours receive one of the bronze variety, while runners who finish under 24 hours are gifted silver buckles. The oldest and largest ultramarathon in the world, Comrades is perhaps the best-known ultra race in the world. Held in the KwaZulu-Natal Province of South Africa, the race takes runners 56 miles from Durban to Pietermaritzburg. Drawing 18,000 participants from 60 countries, this is truly an international event. With 12 hours allotted to compete the course, runners tackle a set of hills known as "The Big Five," three of which come during the first half. Participants are often cautioned not to attack these hills too aggressively if they hope to make it the entire distance. Taking the spotlight off all the climbing, cheering school children, traditional South African folk music, and the buzz of excitement from thousands of runners and fans alike make this one of the most spirited ultra races in the world. Among the most popular ultra races in the United States, the Hardrock Endurance Run is held in Southern Colorado's San Juan Range. Starting in Silverton, this race travels 100.5 miles through Telluride, Ouray, Sherman, and finishing back in Silverton. Appealing to more experienced trail and mountain runners, this course traverses mostly four-wheel drive roads and dirt paths and crosses a whopping thirteen major passes topping out at 12,000-13,000 feet. What this amounts to is 33,992 feet of climbing and the same amount of descending, totaling 67,984 feet of elevation change. Along with this type of course comes significant swings in climate, including thunderstorms, high winds, and subzero temperatures. The name of this race says it all, denoting the latitude in degrees and minutes. This means the 6633 Ultra is held in the brutal conditions of the Arctic Circle. Claiming the title of the "toughest, coldest, and windiest extreme ultra marathon on the planet," this race starts in Eagle Plains, Yukon and runs to the banks of the Arctic Ocean at Tuktoyaktuk. A nonstop race of either 120 or 350 miles, competitors carry or pull sleds with all of their supplies. Crisscrossing in and out of the Arctic Circle, participants travel across some of the most inhospitable landscapes, over ice bridges, and through an area dubbed "Hurricane Alley," thanks to high winds that can literally bring competitors to a crawl. Although barren and remote, those who take on this challenge are rewarded with knowing that they traversed some of the most treacherous northerly terrain on the globe where few humans ever travel.